CUUEG is the Cambridge University Scuba Diving Club. 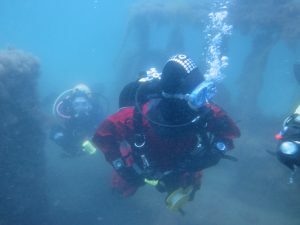 We are a group of around 50 divers – students, staff and alumni of the University who dive regularly around the UK (and sometimes abroad!). 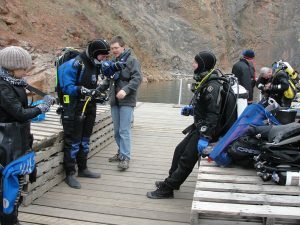 We try to organise regular trips throughout the diving season for qualified divers, whether they’ve dived in the UK before or not. The club has most of the equipment you will need, so if you qualified as a diver abroad and want to try UK diving come along and have a chat. You can find out more on this website, or by coming along and meeting us after 9pm every Thursday evening at the Panton Arms.